A few weeks ago, Travis (CNYBrew.com) sent me a few bottles of his home brewed ales and lagers. At that time, I was very busy, and didn’t have any time to sit, drink, and give them the attention they deserved. 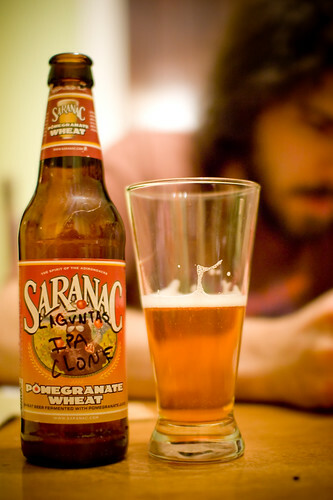 Recently, I got an email from him asking if I had drunk the Lagunitas IPA clone. I didn’t. And that was a good thing, because he informed me that Jonathan over at (MNB - mondaynightbrewery.com) was sending me their Swashchuckler IPA. 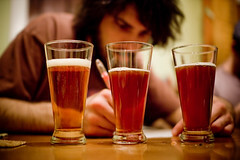 They both wanted me to be a judge to determine who made the better India Pale Ale. I’m not really all that much of a beer critic, but I was quite flattered to say the least. So, I finally got to sat down with both beers with my good friend Erik. We were both eager to taste what the east coast home brewers had made. It was fun and tasty, and below are the tasting notes for each beer. I also would like to thank my wife Sarah for taking such great photos. 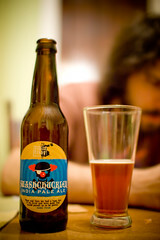 India Pale Ales are generally viewed as the most bitter and hoppy of ales. 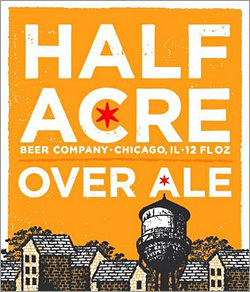 They are generally pale in color, assertively hopped, and have a malt backbone that supports its aggressive hop profile. There are definite differences among English and American styles. In this tasting, I feel like each beer sort-of represented each country. Appearance: Pours a deep golden color with amber hues and an even/light cloudiness. A ¾ inch white head fades quickly down to a ring of bubbles around the edge with slight lacing. Aroma: Upfront there are sweet aromatics. Apricot, vanilla sweetness and fresh malts dominate. Then a mild hop after-presence comes through with some citrus notes and mostly reminiscent of English varietals. Taste & Mouthfeel: Fairly balanced flavors favoring sweet/darker malts. Bitterness is present and soft verses sharp and cutting. Hop flavors come through much like in aroma and again suggest English in styling. Medium bodied with lower carbonation gives this ale a good mouthfeel. Aftertaste: Pleasant malt finish without lasting bitterness on tongue. There does seem to be a lingering, yet clean, mineral taste perhaps from Georgian waters. Overall Impression & Drinkability: An overall impression takes me to England. This version is darker and takes on a much sweeter flavor profile from what I guess is residual sugars from darker crystal malts. I also wonder if the yeast count was sufficient for this batch. Hopping levels are smooth and understated. The hop bitterness and bouquet is just short of assertive or clean & accurate enough for my taste. A pretty drinkable beer, and it's softer carbonation makes it feel more session-like. Appearance: Pours a nice pale golden color much like the real Lagunitas, with lots of carbonation creating a dense thick and frothy white head with strong staying power, and good lacing. There is a clarity to it, but has a more particulate cloudiness. Aroma: Clean, strong citrus and subtle soft fruit hop scents, hint of sweetness. Taste & Mouthfeel: Sharp citrus hop taste upfront lending to a nice simple malt secondary flavor. The bitterness is strong and dominates the overall experience. There is a clean and attenuated sweetness coupled with higher carbonation that makes this beer finish on the dry side. The mouthfeel is medium in body. Aftertaste: Mostly bitter and quite assertive/almost harsh. I get a hint of sour quality coming from the citrus/lemon-like hop flavor, and combined with higher carbonation is reminiscent of a German Wiess (Hacker-Pschorr). Drinkability & Overall Experience: Overall I think it is like a fusion of American pale ale and German Wiess. It is a bright and refreshing IPA, but fuller carbonation makes it a little difficult to put down, and may accentuate some of the sharp edges. An unrefined & edgy bitterness commands the palate, but does allow just a little malt to slide through. The Lagunitas IPA clone has a more unrefined “home-brewed” quality, it’s brighter and more bold in hopping, but is also a bit edgy. The Swashchuckler IPA is quite sweet, and has a mysterious finishing quality that tastes more balanced or “micro-brewed.” It was a little challenging to compare two beers that tasted so different, and I had to base my decision on the overall taste. Even though both could use definite adjustments in balance and refinement, and don’t come close to my Hop Blend IPA from 2007 (but that is a different story all together...ha ha ha! ), I definitely favor the Lagunitas IPA clone by Travis. Woohoo! Score one for the good guys! Seriously though, thanks for taking the time for the extensive reviews. The feedback is a big help. Cheers! What is a Lager? What is an Ale?